Are you collecting customer contact information? 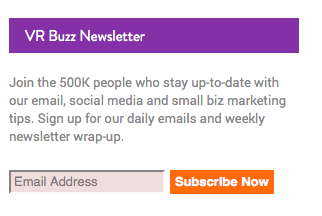 Connecting with your customers through a master email list is a great idea for a new business. Are you collecting customer contact information? Being able to connect with your customers can be extremely beneficial to your new business, especially if you’re keeping a master email list. We asked Janine Popick, the CEO and founder of email service provider VerticalResponse, to explain the top reasons you should collect customer email addresses, and the best ways to get that information. By sending emails to your customers, you keep your business and brand top of mind. 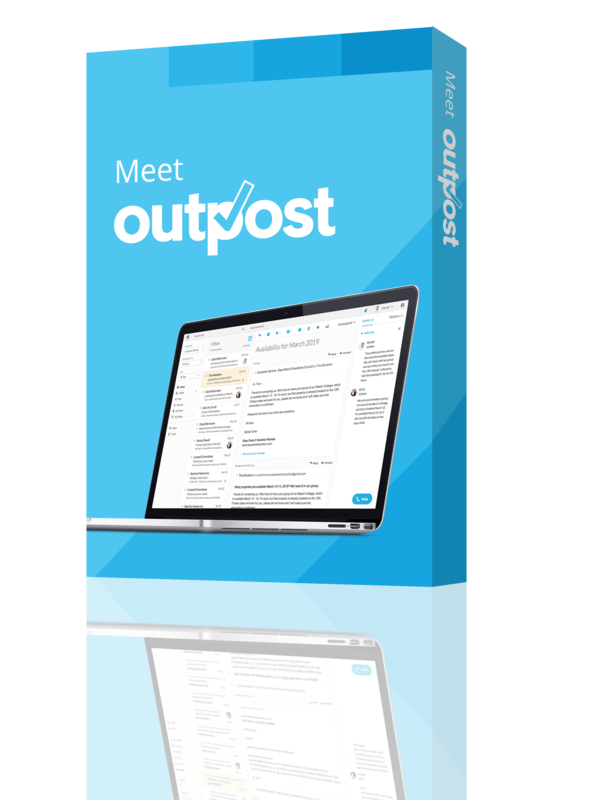 One of the best ways to stay in touch with your customers, without trying to sell your products, is to send a regular newsletter. From company news to upcoming events, a newsletter serves as a little reminder that your business is here and ready to help when needed. There are dozens of email service providers online and many of them offer a free plan. With a price like that, it’s hard not to give email marketing a test run. As your list of contacts grows, you can upgrade to a paid membership, which usually starts around $20/month. PC Magazine has a helpful spreadsheet that compares the features of free email service providers. 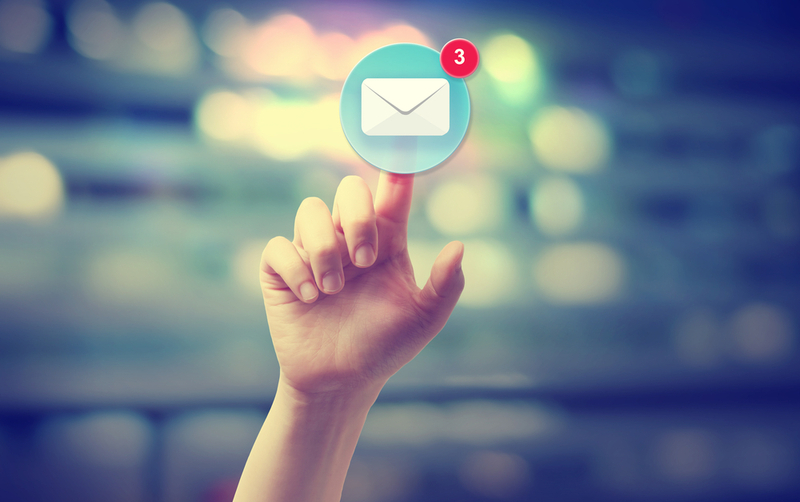 Now you know why you should collect email addresses, but how do you go about doing it? If you have a brick-and-mortar store, put a signup sheet at the register. While the customer is checking out, ask him or her to sign up. Popick suggests telling the customer what they get when they sign up. For instance, if you plan to send out coupons via email, make sure to let your customers know what’s in store for them if they choose to sign up. Customers should also be able to sign up on your website. Allow customers to fill out a quick signup form, and submit their information online. Add signup options like this to your website. If you offer a class or a webinar, you can collect contact information as people register for the event. Wondering what kind of class or webinar to host? Host a class about what you know. If you’re a retailer, host a class on finding trendy and affordable outfits. If you run an online marketing company, host a webinar to teach people search engine optimization tricks. Square is a payment app that lets you accept credit cards through your smartphone. Customers have the option to get the receipt emailed to them; if the customer is willing, you can add their email address to your growing list. 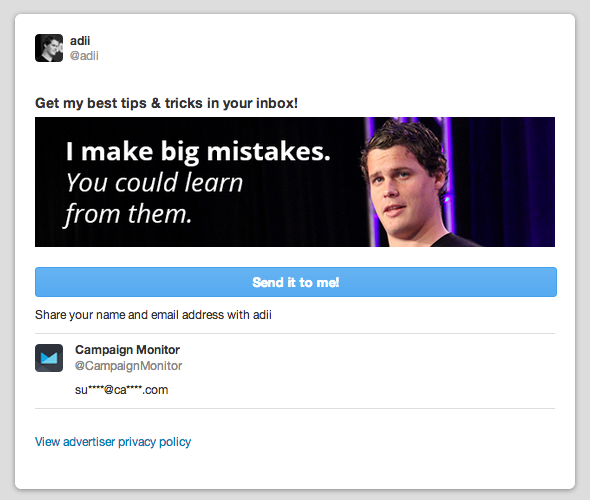 If you have a little social media savvy, you can try Twitter’s lead generation cards. These promoted tweets offer customers a deal via email; all a customer has to do is provide their email address. An example of a Twitter lead generation card. It’s not a free service, but it’s an affordable option that can result in an influx of customer contacts. How do you collect customer contact information? Let us know in the comments!